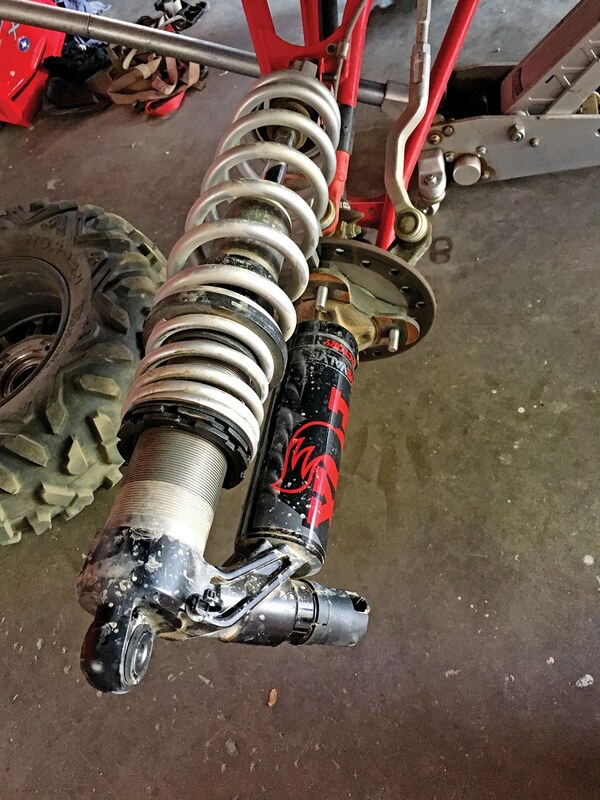 Your stock RZR does have dual-rate springs, but they don’t work as well as they should. First, the top spring on most UTVs is collapsed and is only in place to expand when your suspension drops out going over bumps and is in the air. The crossover slider that sits between the two springs can be used to dictate when each spring gets pushed into service; however, this takes a crossover ring that is threaded onto the preload threads that are machined into your shock body. 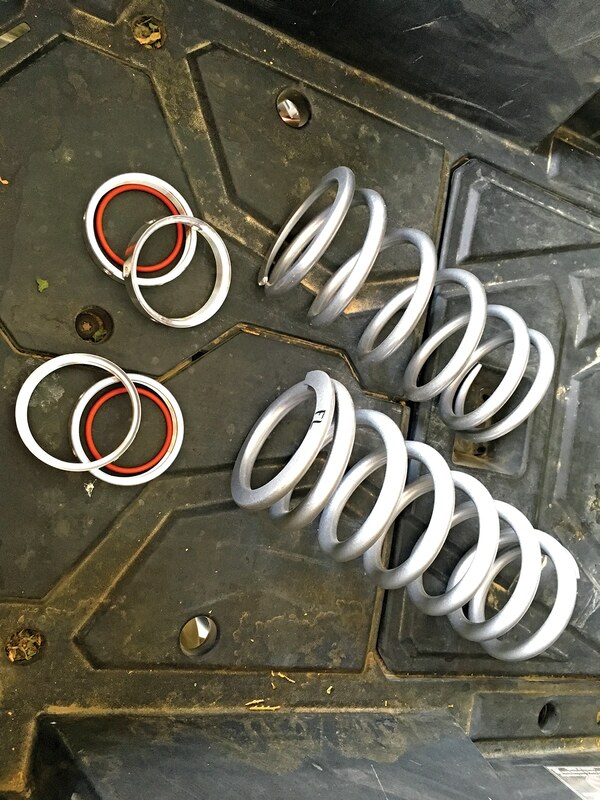 Shock Therapy spring kits come with two replacement springs per shock, two crossover rings and one O-ring. The O-ring eliminates the noise the plastic slider makes when it comes into contact with the crossover rings. This is a nice touch, we have never seen anyone do before. In this photo the other eight rings are for modifying your shock body to accept even larger-diameter springs. 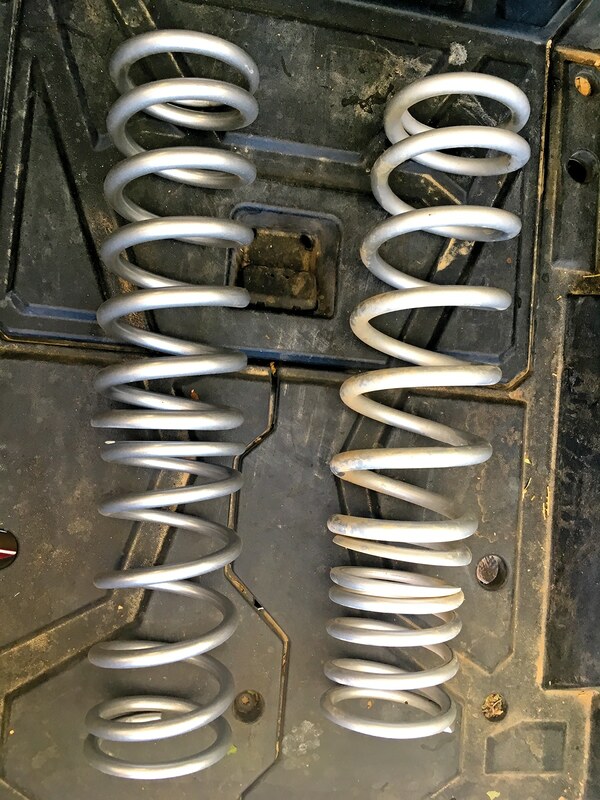 Here’s the difference between the stock front RZR springs and the Shock Therapy setup, which is on the left. Use a flat screwdriver to break the two preload rings apart. After that, the stock spanner wrench/clutch tool works just fine. However, removing the shock from the car is a must to give you room. 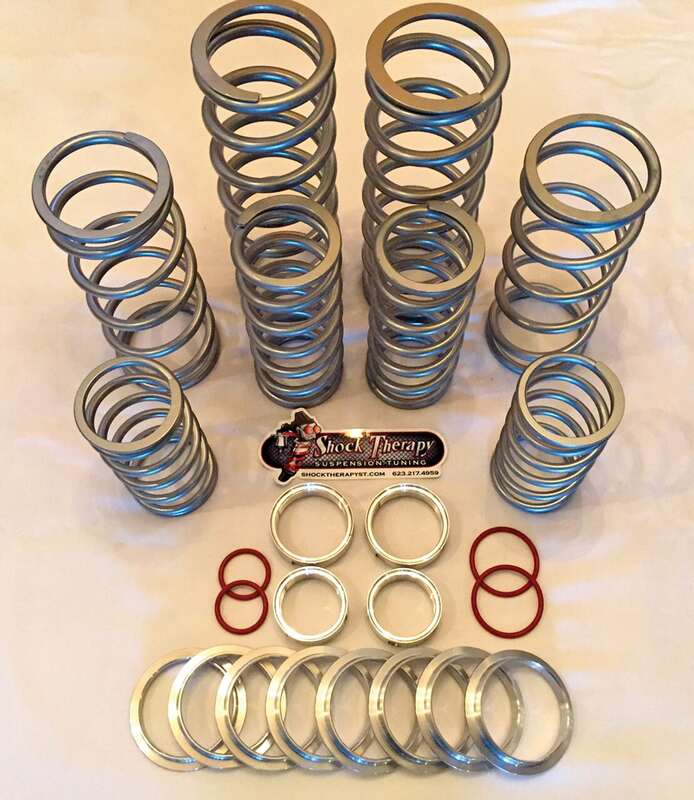 This kit replaces your stock springs with vehicle-matched stronger, better-quality springs made from CRSI material and adds crossover rings for better adjustment. Installation is simple. Remove your shocks from the car, back off the preload, adjust all the way, then remove your springs. Then, thread on the crossover rings and install the new springs, reusing the stock slider that goes between them. Shock Therapy tells you the exact crossover height and preload measurements to start with. 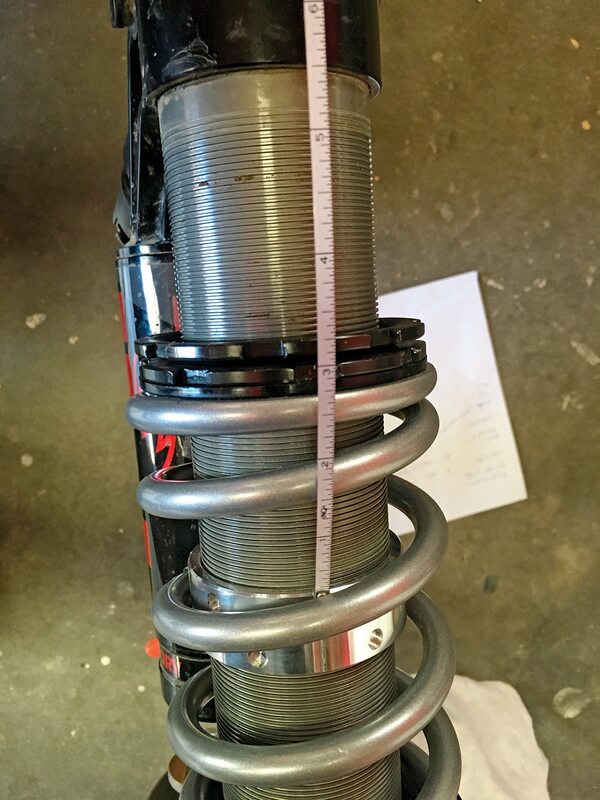 For our test the numbers were spot-on, and with the new springs we had an even 14 inches of ground clearance in front and back once we put the RZR XP 4 Dynamix Edition back on the ground and drove it a few minutes to let the springs settle. 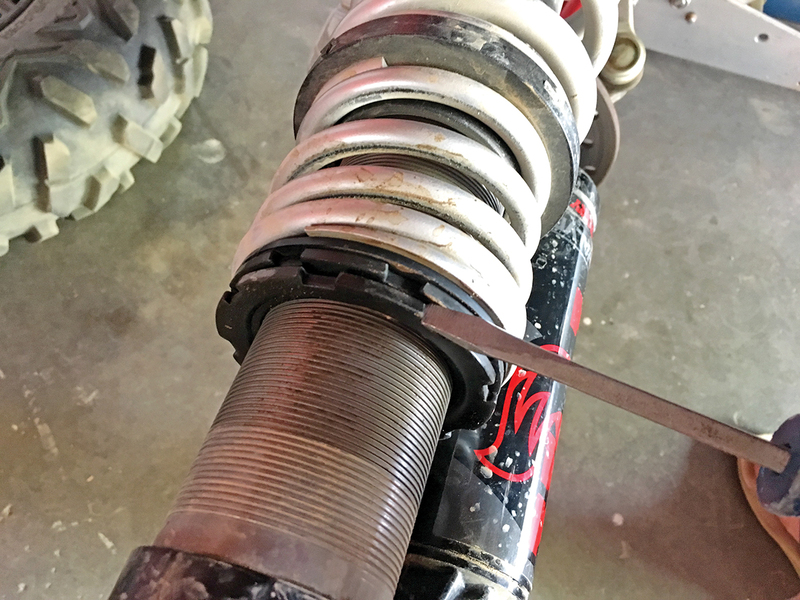 Some time before you remove the springs, you will have to slide the bottom rubber bumper away from the bottom of the shock. Be careful not to touch or scratch the shock shaft. To remove spring preload, you can leave the bottom of the shock connected to your A-arm and use it like another set of hands. The small orange O-rings quiet down the noise that the plastic slider makes when it hits the aluminum crossover rings. Nice touch. Our RZR XP 4 rides so much better throughout the entire stroke of the shock. 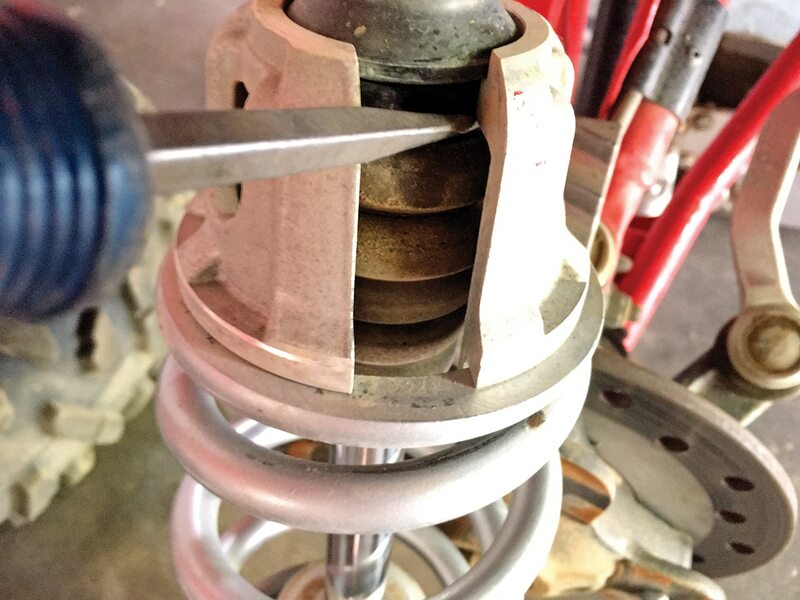 In small chop or at slow speeds, the shocks ride on the softer upper spring. The RZR floats. Small bumps in the road that we could normally feel, especially in this car, completely disappeared. When jumping or pounding through whoops loaded or empty, the RZR got through the shock stroke so much smoother than before. Overall, comfort was improved a lot more at slow speeds than at higher speeds in the rough stuff, but it was still a massive improvement. 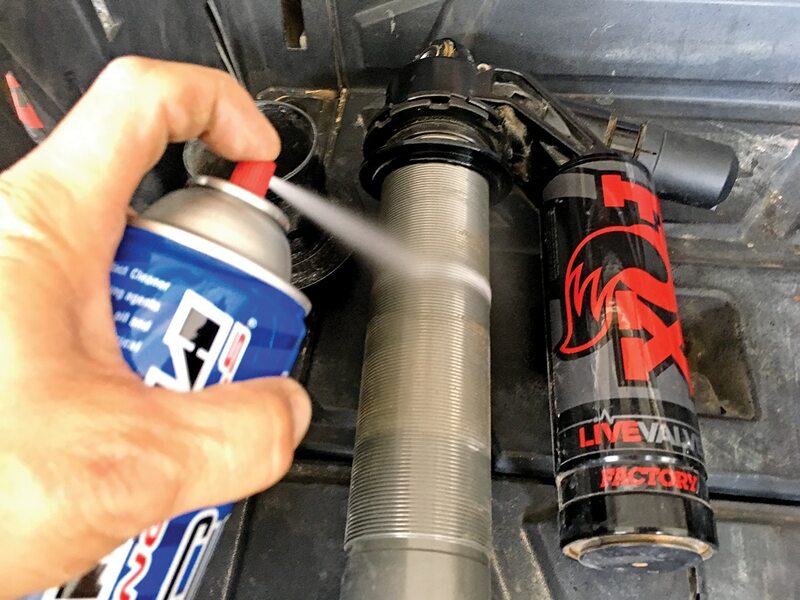 A spring kit and the right setup tips, which we got from Shock Therapy, are the second-best investment you can make on a RZR after a good set of tires. Plus, the only spring kit we have seen comparable to this is priced 10 percent higher. Measure twice and make 90 percent of the adjustments while the shock is off the car. With the shock installed, it’s really hard to turn the preload collars. Here’s the kit installed on the front shock. You can see how much movement the top spring has now. It’s the main reason our shocks are so plush at slow speeds. Before, our RZR Dynamix Edition was harsh at slow speeds, and it was hard to find a comfort zone no matter what setting we were running. The three-position Fox shocks now seem more aggressive when driving fast and a lot plusher at slow speeds in the comfort mode. 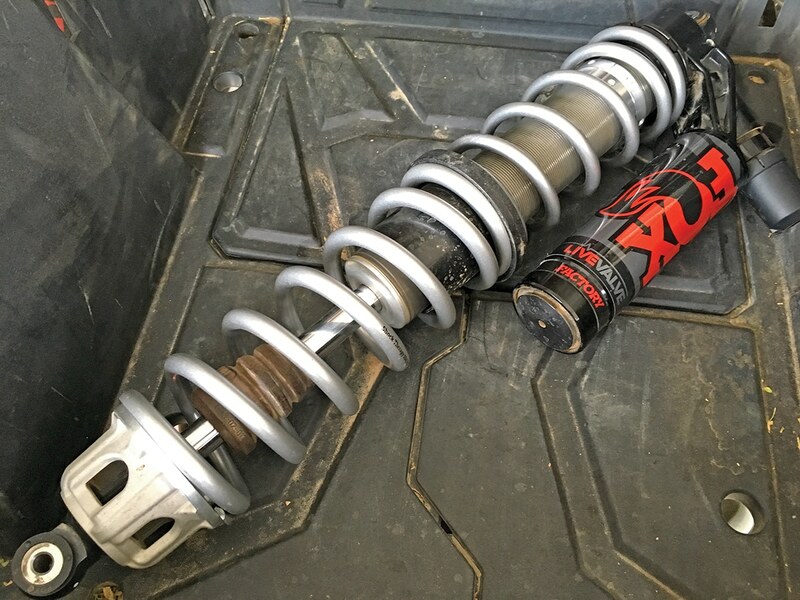 No matter if you have a Dynamix Edition RZR or one of the other models, the Shock Therapy dual-rate spring kit is a welcome upgrade. We know it sounds cliché, but it is just what the doctor ordered. Everyone’s Favorite RedNek Goes Racing!